Nautical Parties, Summer Time fun, Warm Sandy Beaches and memorable vacations. Settin' Sail, a new Photopolymer Stamp set says all that and more. Photopolymer Stamps are super, duper sticky. No stamps falling off the block here. Easy to stamp, completely clear stamps. See exactly what you are stamping. No guess work stamping with these babies. 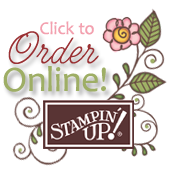 And at $13.95 for 21 stamps, that's a whole lot of value packed in one stamp set. What's the Big Deal with Washi Tape? It's all the rage, but what exactly do you do with it? Washi Tape has taken the crafting world by storm, offering an incredibly quick, easy way to add a fresh, colorful look to any project. This Online Class is ready to view and do at your convenience. Explore a myriad of Washi Options and Begin your Washi Adventures.